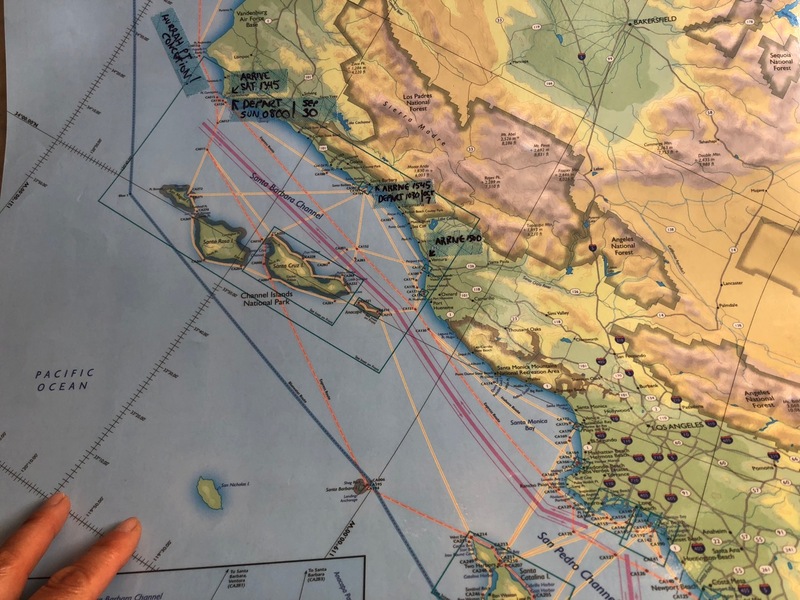 Brian Fagan, in his canonical "Cruising Guide to Central and Southern California", says that this area has been "known since the ninteeth century as the 'Cape Horn of the Pacific'"; he then devotes two sobering pages to detailing the challenging weather conditions of this area. In short, it's the pointiest part of California, and the southern coast slopes inland strongly afterward, so weather gets intensified around the point. 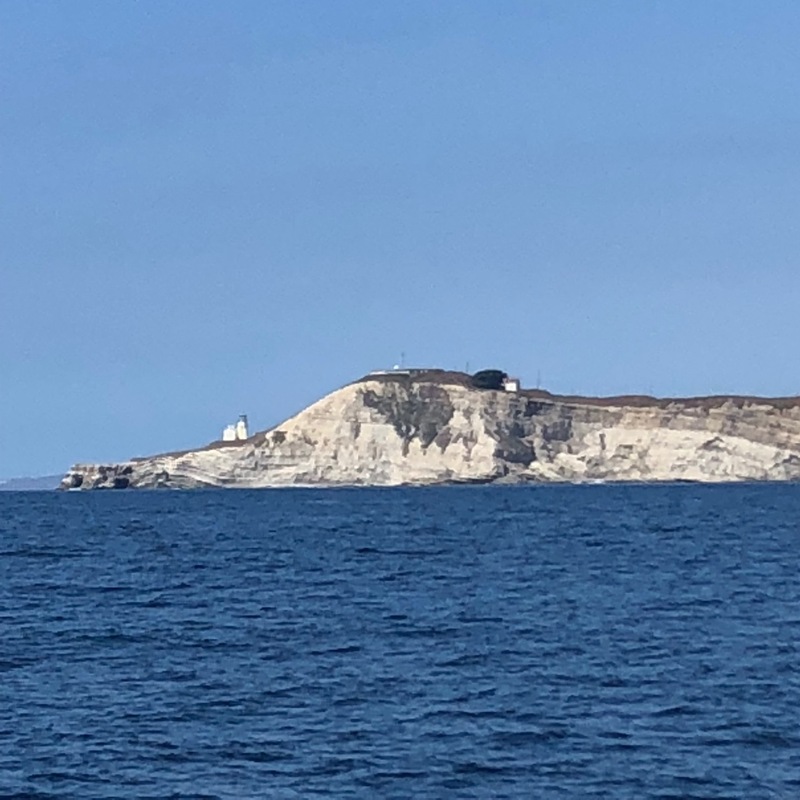 While wise sailors keep a close eye on the weather, Point Conception is famously difficult to forecast; local conditions can vary quickly and strongly, and there is no sure way to have an easy trip. Many people choose to round the Point as an overnight passage because winds tend to be milder at night, then warm with the day. 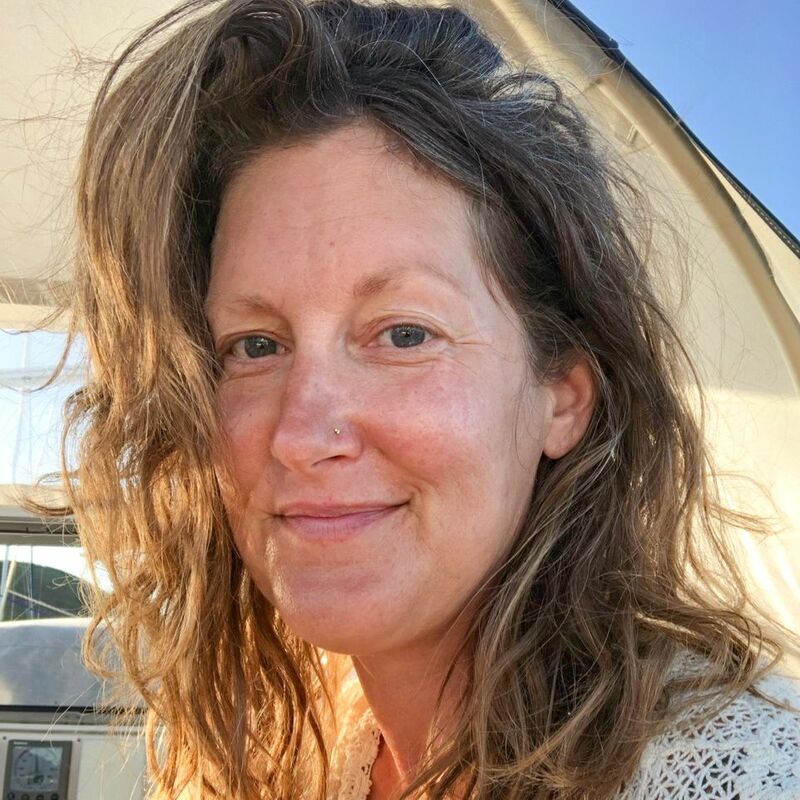 As we prepared for this next leg, Rejoice was docked at the Morro Bay Yacht Club's tiny dock with our now incredibly dear friends aboard Blossom rafted to our side. That means we were tied to the dock and Blossom was tied to us, with lots of fenders in between. Charlie and Sarah had to walk across our boat to get to theirs or to shore, so we saw a whole lot of each other, which was super fun! Morro Bay is a charming little town. There are lots of little traditional seafood places along the waterfront, such as the Great American Fish Company. 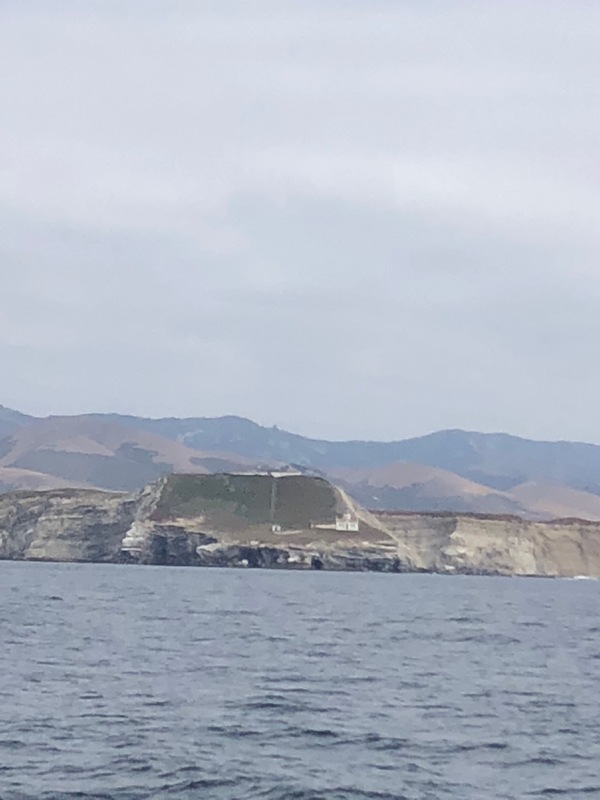 Morro Bay's greatest landmark is Morro Rock, which is the TIP OF A VOLCANO! The bay wraps inward from there, as you can see on the mural at the top of this post, and is home to many seals and a whole lot of charming sea otters. Oh, the sea otters! There were lots of folks in Morro Bay who were heading south to Mexico for the winter, many of them on the 25th Annual Baja Haha rally we'll be joining. 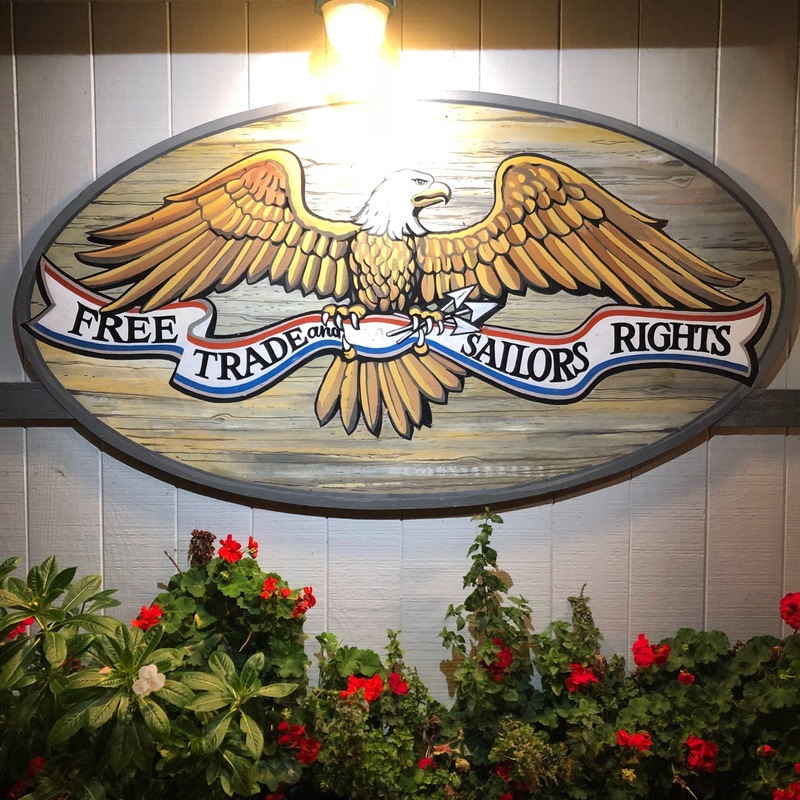 We had a meetup at the Morro Bay Yacht Club's clubhouse, and eleven people from seven different boats came and discussed our plans. There was a huge range, from young couples, older couples, a couple sailing with a toddler and an infant, to a bachelor and his cat and his best friend... it was fantastic. in hopes of rounding the point before noon, since the building heat of the afternoon means stronger winds. Oh, the joy of sunrise when you have been sailing in the dark! 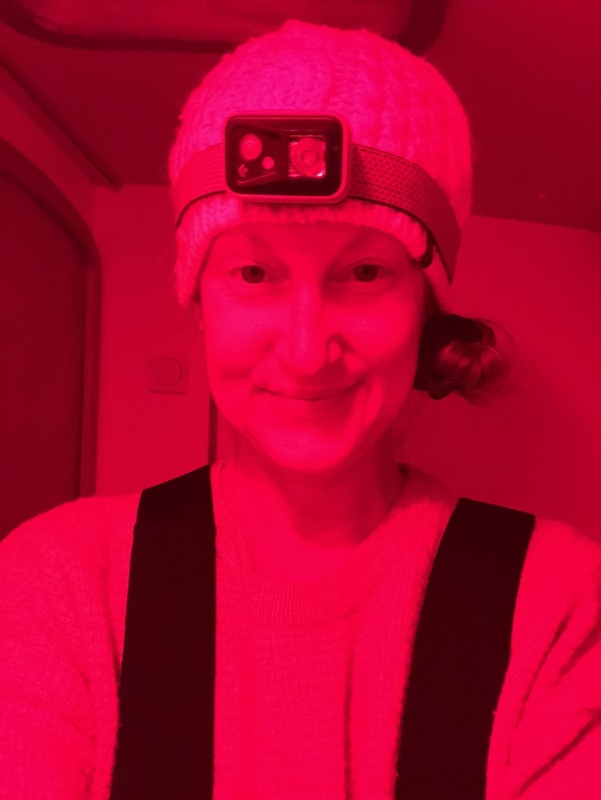 At dawn, I serenaded Blossom on the VHF radio with a patchy rendition of "Here Comes the Sun"; after I finished, James pointed out that I had failed to stop the radio from scanning, had not chosen the channel we were using with Blossom, and that I had just sung on channel 12, and therefore serenaded the Coast Guard. I love to imagine that some person sitting there listening in the wee hours heard my song! 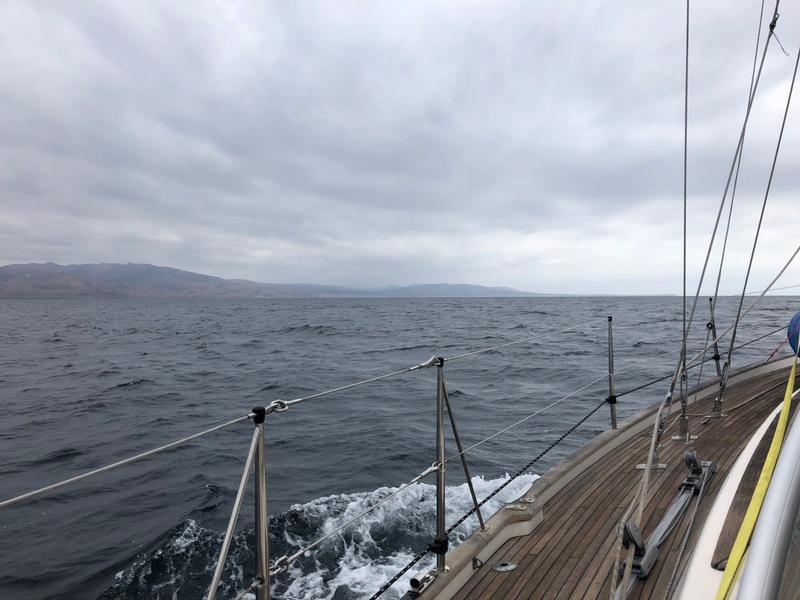 Sailing is a slow way to travel; we had hours to watch the dramatic shift of the landscape from big mountains down toward the Point. 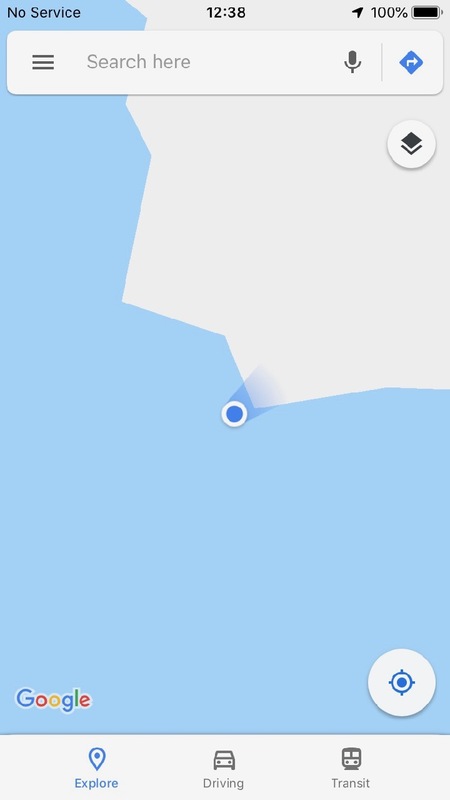 We've been staying in touch on the water with loved ones by text and Slack and such, but lost connectivity as we rounded the point. Actually rounding the Point was safe and simple! We ended up with such light wind that we motor-sailed. It was gorgeous and triumphant! 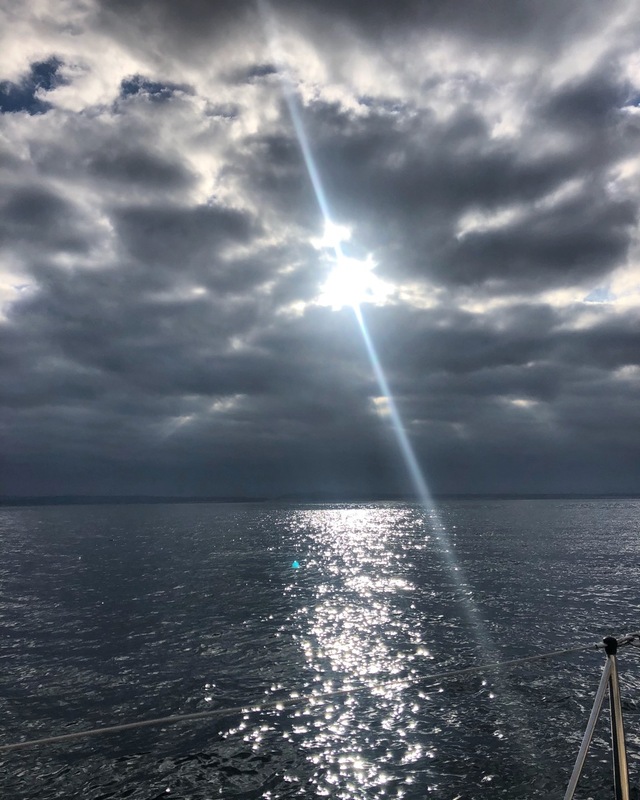 Blossom was behind us, and hailed us on the radio when they saw our position on AIS; it was wonderful to share the moment, and special to be able to share it only with those near us at sea. I made a tiny movie of it for you, though! Just around the Point is a little nook called Cojo Anchorage. We pulled in around 1p, were anchored by 2, and crashed out not long after. Both Avila and Cojo were really rolly anchorages, meaning that big swells were tossing the boat about 25 degrees every 1.5 seconds or so. There was little sleep, but great relief and satisfaction. We rose at Cojo and continued onward after breakfast, which you'll hear more about soon! P.S. I'd love to hear from you! Knowing that you are reading inspires me to write. James painstakingly created a discussion system so we could stay in touch with our loved ones without being commodified by social media companies! Every comment is read and appreciated with great love. Questions are warmly welcome, too.